Premium KIT for easy recharge of your AC. 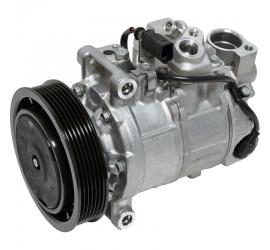 Includes: 1 premium hose and 1 can Fill your AC R134A replacement. Now with the new Premium hose! Valve metal in high quality. This Premium KIT will help you to easy recharge your AC. 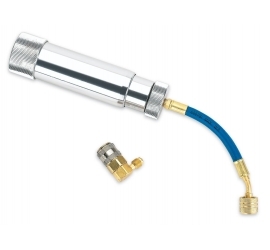 Premium hose with a pressure gauge and R134A quick couplers. Warning sign for the engine room. 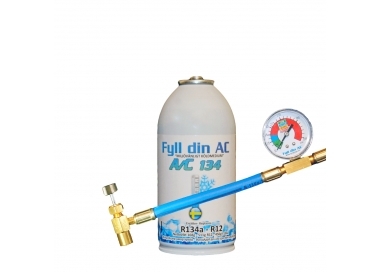 R134A replacement is more efficient than the ordinary HFC and CFC products. Our products are made from ingredients of the highest quality. 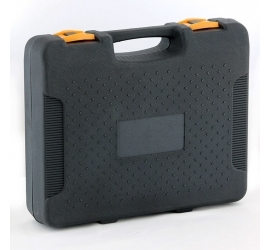 Contains DYE, which makes leak detection with UV-light very simple. Because our products are so effective, you use up to 60% LESS refrigerant charge compared to similar products on the market. A can containing about 450 grams of R134A. 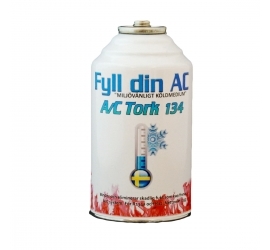 R134A replacement is non ozone depleting and is completely eco-friendly. 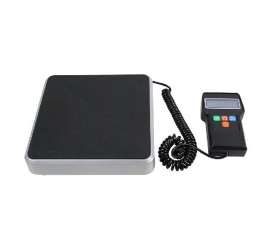 In addition, it is cost effective and lowers your verkstadskostnader significantly. 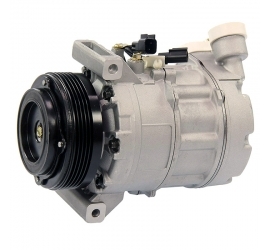 There are many benefits to using R134A replacement; among other things, that your A/C system operates at a lower head pressure which makes the compressor work easier and prolongs the life of it. 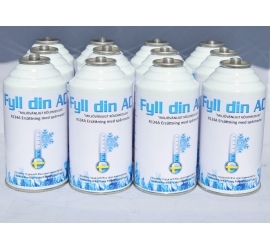 Suitable for systems with both R134A and R12. Buy Stop-Leak or SUPER SEAL if you think you have a leak in your system. Buy to R12 adapter if your vehicle is older than 1992. ONLY FOR PROFESSIONAL USE! 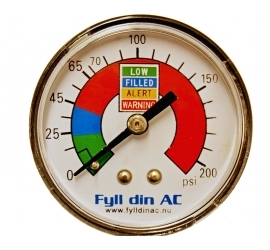 Follow the regulations for refrigerant! 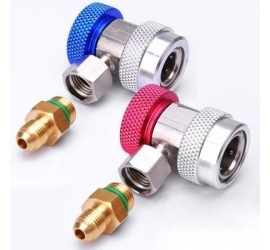 Reusable hose with plastic and metal fittings. Comes with a pressure gauge. For an easy refill of your AC. R134A and R12 Replacement with DYE. Based on hydrocarbons and are an environmentally friendly alternative. Everyone wants to have a cool car during the summer? Fick av kundtjänsten bra hjälp och svar på mina frågor. Har nu svalare i bilen igen och klarade det utan verkstadsbesök. Rekommenderas! Conversion for classic cars and older vehicles with R12. Converts R12 connection (7/16") to R134A coupler fitting. For leak testing to find leaks. 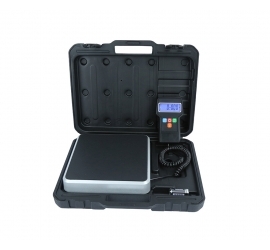 UV-kit used for leak detection. 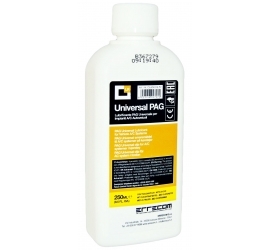 Sealant for O-rings and gaskets made of rubber. 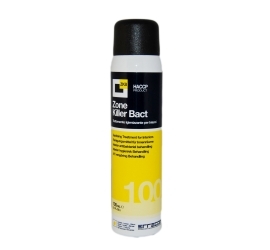 Stops effective leakage in condensers, pipes, metal and rubber components. The most advanced sealant on the market! 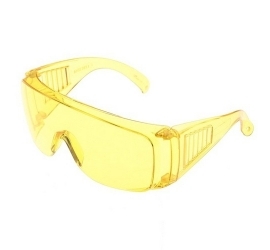 Yellow goggles. 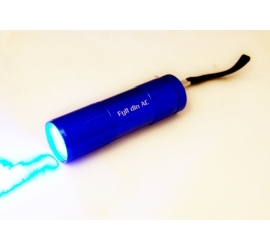 Used together with our UV-lamp for leak testing. Adapter for Audi/VW with no service port. Converts to a standard R134a service port. 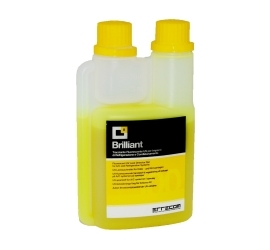 Oil with a technologically advanced formula, designed to replace most oils in the mobile A/C system. Fits on R134a high pressure side. Kit with two quick couplers for R134A. High and low side. Manifold gauge set in professional quality. 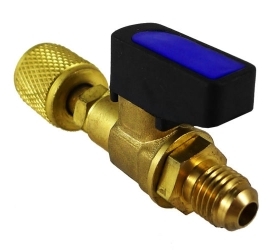 Supplied with 3 pcs 91cm long hoses and 2 pieces of quick couplers with shut-off valve. Adapter kit with 8 different parts. 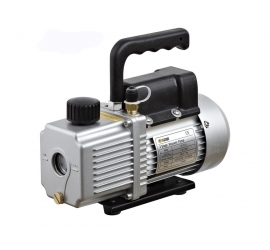 Small but powerful a1stage vacuum pump for both heat pumps and vehicles. Weighing only 4.0 kg! Can tap that fits on our refrigerant cans. Used with manifold gauges. 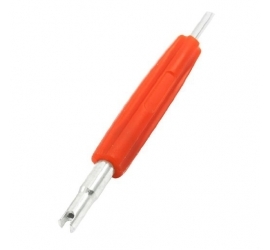 Adapter for the connection of plants with R410A tools and equipment with 1/4" thread. Due to large orders there may be delays in delivery. Preliminary delivery time 7-10 working days. Shut off valve with 1/4" connections. Replacement for R22, R290 and R404A. Natural refrigerant based on hydrocarbon. 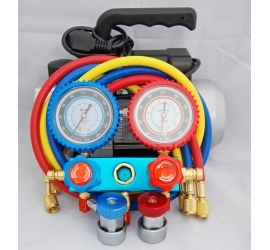 Complete set with vacuum pump, manifold gauge set and quick couplers. 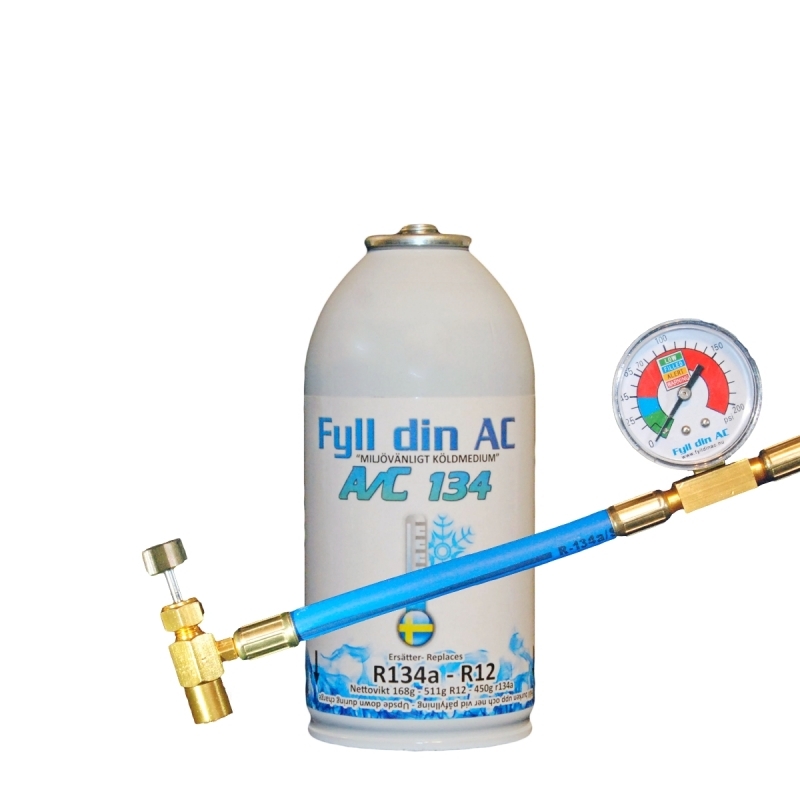 With this kit you can pull vacuum and refill refrigerant in cars, heat pumps and many other systems. Valve for charging a closed system without service port. 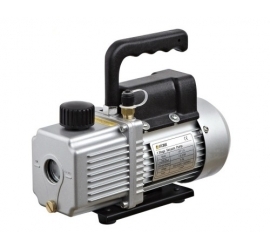 Small but powerful 2-stage vacuum pump for both heat pumps and vehicles. Weighs only 4,3 kg! 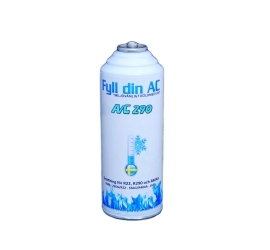 Digital refrigerant scal in high quality. Can handle weights up to 70 kilograms. With backlit display. 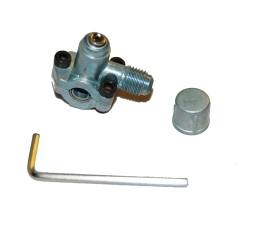 Tool designed for disassembly and assembly of schrader valves. Two different dimensions. 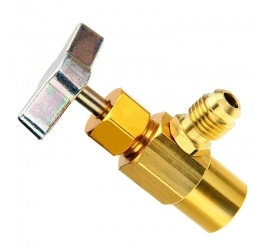 Injector tool for an simple refill of oil or DYE, even if the system is filled with refrigerant. 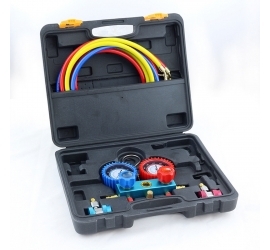 O-assortment for vehicles and equipment. Made of rubber in high quality. Comes in a handy assortment box of plastic. 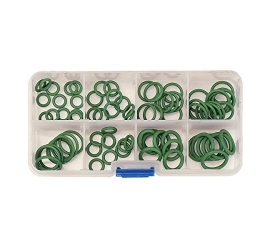 A total of 145 pcs of O-rings in different sizes. 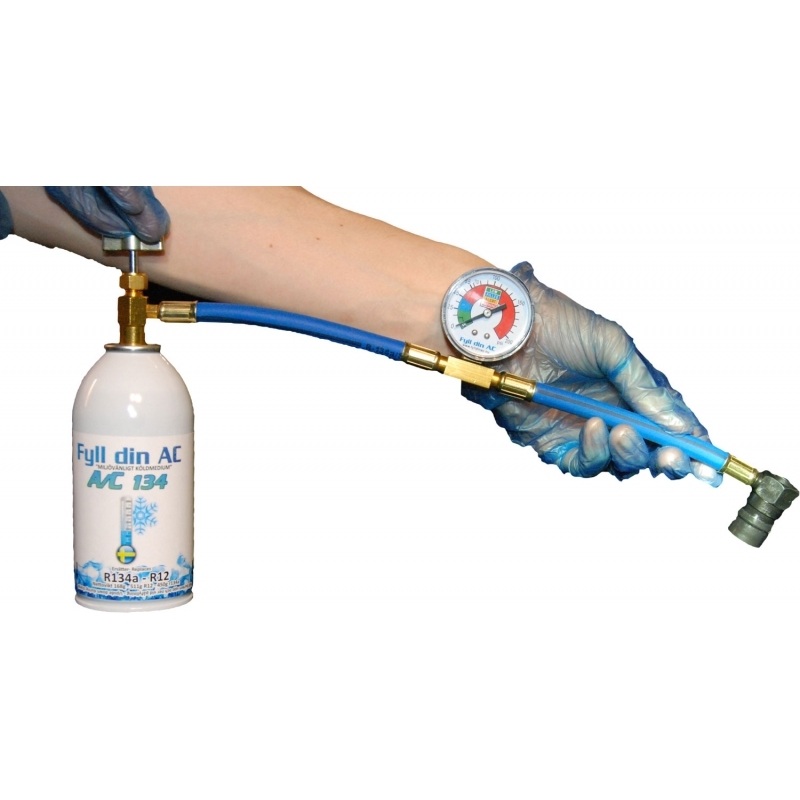 A high-performance leak sealer for A/C systems and other types of air conditioning.Stops and prevents leaks in the hoses and pipes without affect or clog the A/C to machinery or systems! 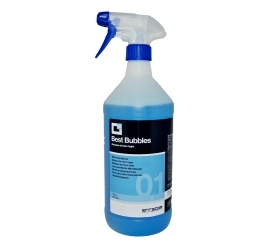 The Best Bubbles It is a quick and easy solution to identify the leaks in the kylmedelsledningar and components in refrigeration and air conditioning systems . Can also be used for inflatables, tires and other pressurized products. 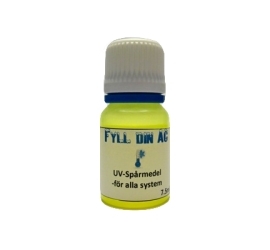 U / V DYE for air conditioning and refrigeration systems, makes it possible to quickly and accurately locate small leaks of refrigerant. 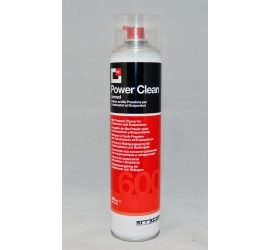 Power Clean 600ml High pressure cleaner for condensers and evaporators. 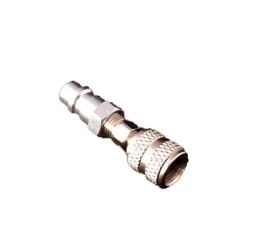 Adapter for R1234yf systems. Makes it possible to use all the Premium-KIT to your car with R1234yf refrigerant. 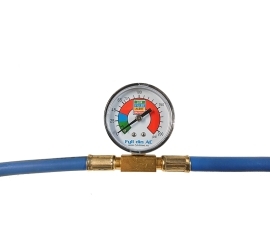 With this hose you can easily check the pressure and refill your A/C. Very simple to use. Screw on the can to the hose (no manual puncture is required!) Firmly press the quick connect to the cars low pressure port. Refill or just check the pressure. Your finished! © 2018 FylldinAC. All rights reserved.